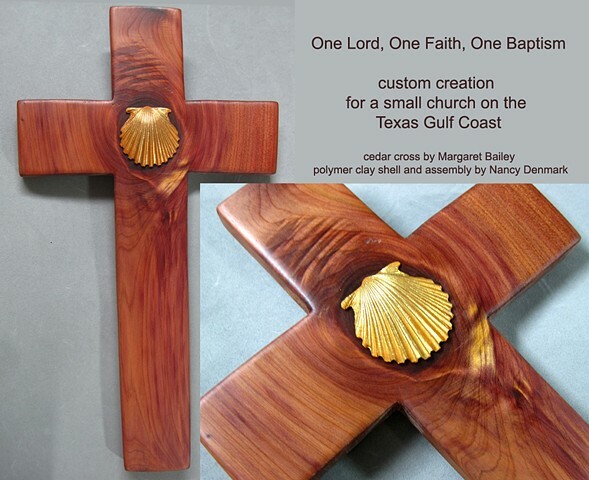 This was a custom creation made for a small church on the Texas Gulf Coast, St. Peter's By The Sea. We accept custom orders. While no 2 pieces of wood are alike this type of wood grain, knot, coloring is more typical. We look for the special "energy" in the wood and Margaret cuts her crosses to place that in a strategic place. Together we match my symbols with her wood crosses.